After the California Gold Rush in 1849 and the Victoria Gold Rush in 1851, prospectors came to New Zealand looking for their fortunes in the Central Otago Gold Rush in 1861 and the West Coast Gold Rush in 1864. While panning for gold is only remembered today in history books, people’s attraction to shiny surfaces hasn’t waned in the slightest—even when it comes to a simple material such as cardstock. 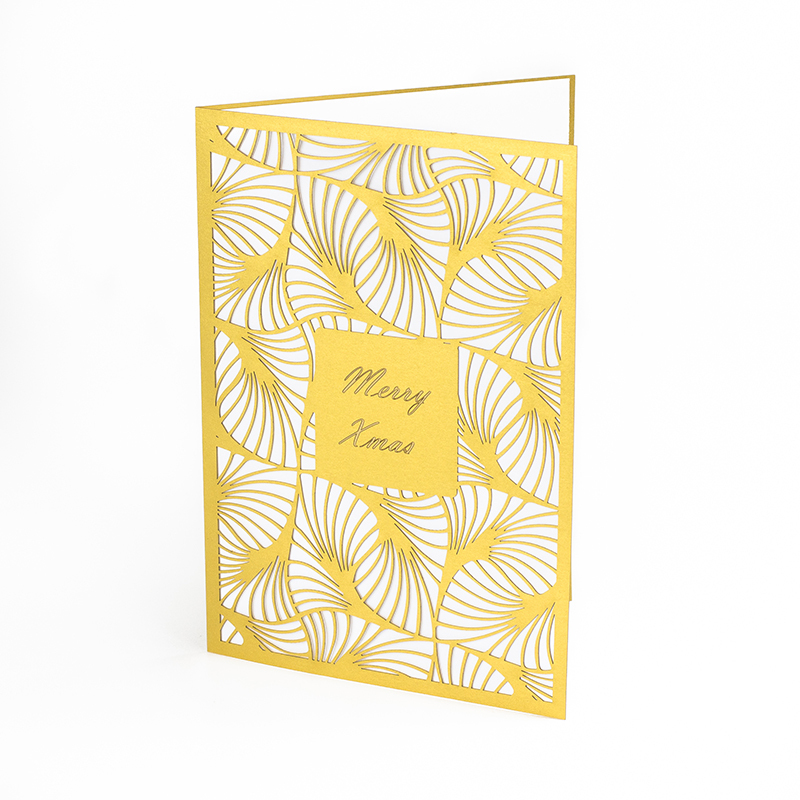 So if you need to add some sparkle to custom laser cut greeting cards, envelopes, invitations, promotional mailings and other stationery products, you’re in luck. 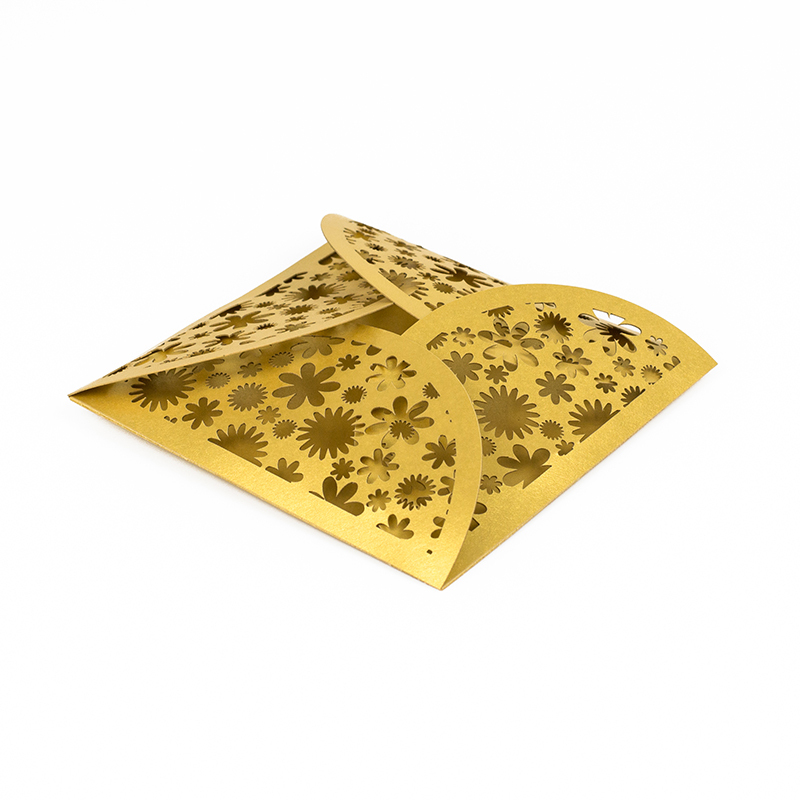 Gold cardstock paper has just been added to the NZ catalog—no mining or smelting required. What’s great about this metallic gold cardstock paper? 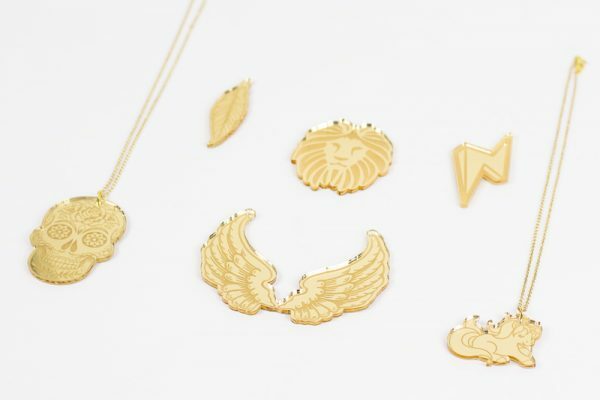 Unlike real gold, making laser cutter projects with it won’t break the bank. 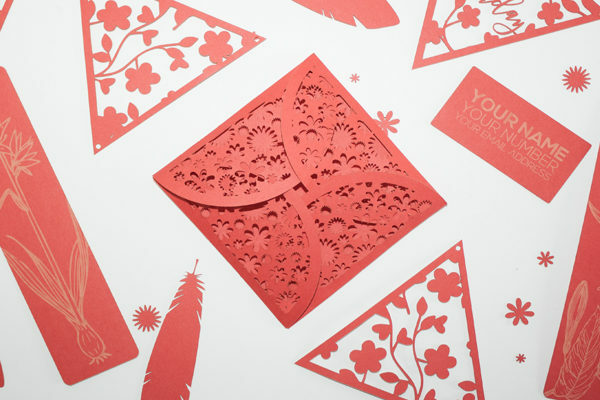 Cardstock is an economical material, and since it is relatively thin (when compared to other substrates) it laser cuts quickly—and time is money when it comes to laser cutting. Because cardstock holds a fold well, just a bit of line engraving to score the surface and control the fold is all you need to make unique envelopes like these. Using a floral motif with geometric shapes makes this decorative design not only attractive—but also memorable. It’s perfect for birthdays, weddings and baby showers as well as salons and retail brands. If you like this kind of decorative design, get the most out of your cutting time and materials by using these tiny pieces as confetti. 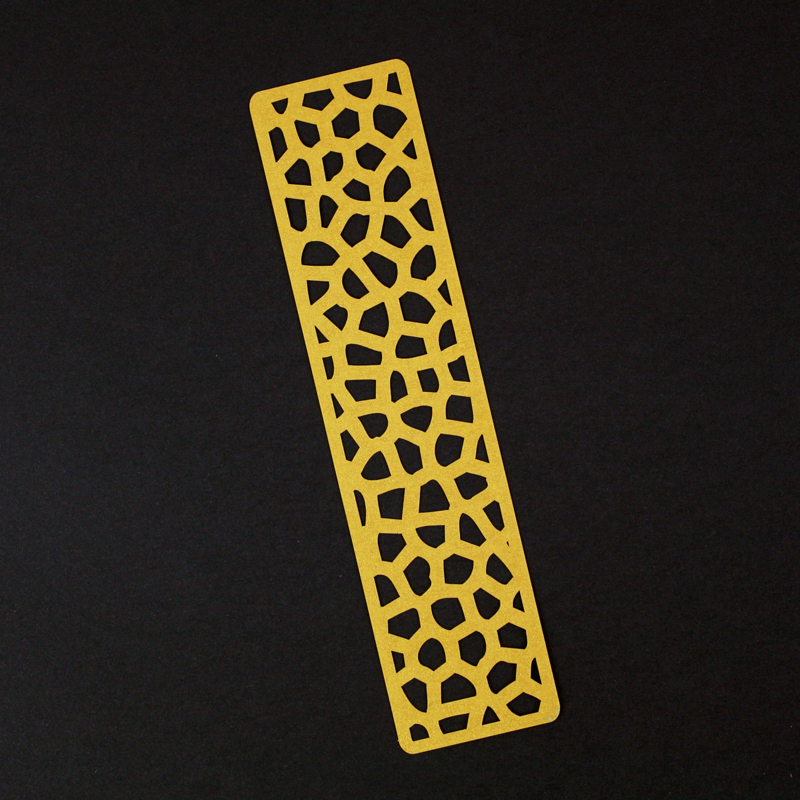 Since small parts can be lost in the laser cutting process, tab them in if you need them. Tabbing leaves a gap in the cutting line so that the small part stays attached to the sheet of material. Once the entire piece is laser cut, use a utility knife to hand cut the tab (so be sure to make the tab quite small). Whether voraciously reading New York Times Bestsellers, keeping tabs on the latest business trends or perusing the pages of the classics, how do you mark the page when you turn off the light at night? Sure, you could use a receipt from today’s lunch, an envelope from the bill you just opened or even a magazine renewal postcard to indicate where you left off. But that’s so boring. True bibliophiles need bookmarks that are just as amazing as the books being read. Whether a traditional rectangle bookmark or something more light like a feather, bookmarks are ideal teacher gifts or birthday party favors (while encouraging reading! ), and they also make impactful and inexpensive promotional products. 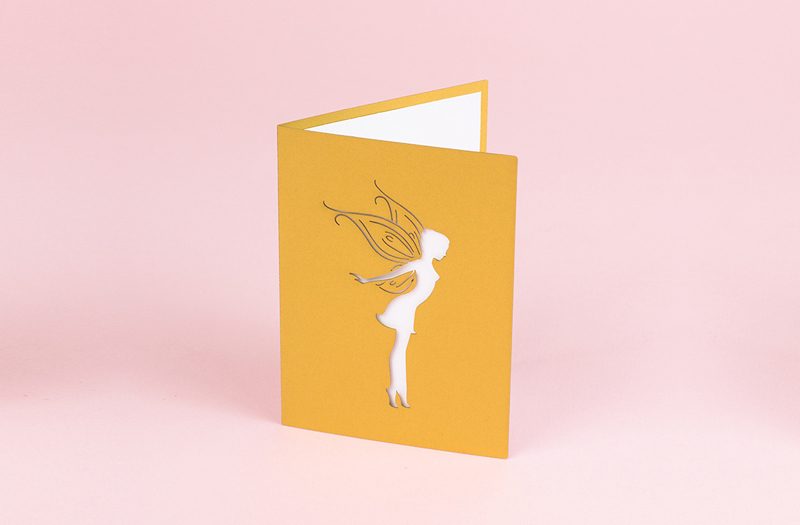 The shapes on this card have a soft organic feel that is both classic and contemporary. These could be used as custom holiday cards as well as wedding invitations or thank-you cards for the modern couple. Or, incorporate a logo rather than text for use in a business setting. If you need to create a little holiday cheer on the cheap, laser cut some tree ornaments or bag tags to deck the halls. If you think Gold Cardstock Paper is oooh-so-good, get all the details here and pick up a sample here to see it for yourself. Perfect for projects that range from paper sculpture and modeling to decorative arts and crafts, this thick paper stock is 250gsm, laser and ink jet compatible, and acid free. Cardstock paper is also easy to curve, crease and emboss to create a three-dimensional work of art. 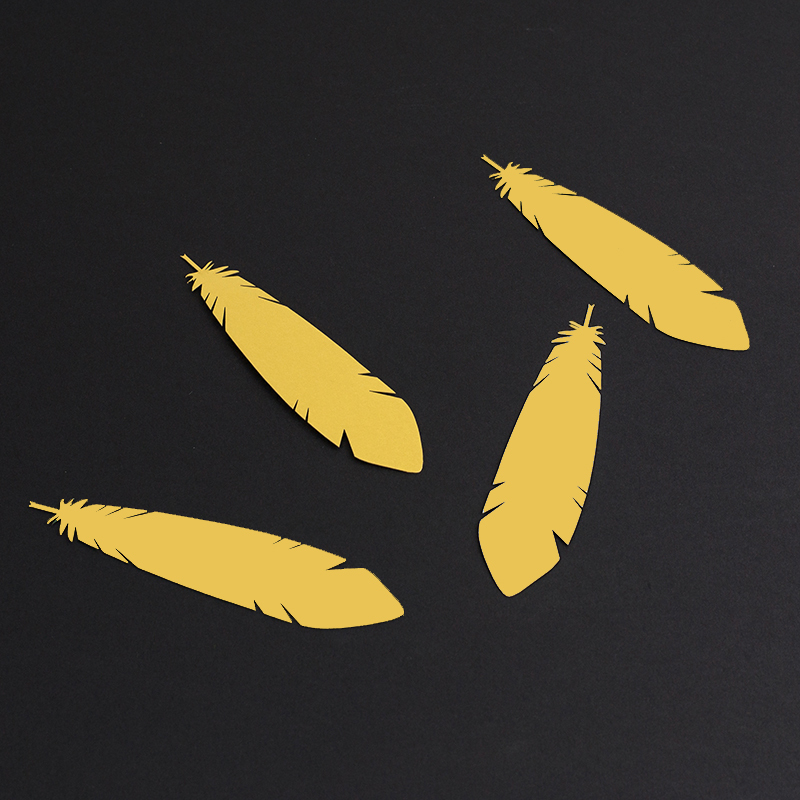 Maker Tips: The gold paper laser engraves to a buttery tan color with some yellow undertones. To achieve this contrast, use area engraving. But a little area engraving goes a long way. Dense area engraving can leave a brown residue around the engraved area, so design accordingly. 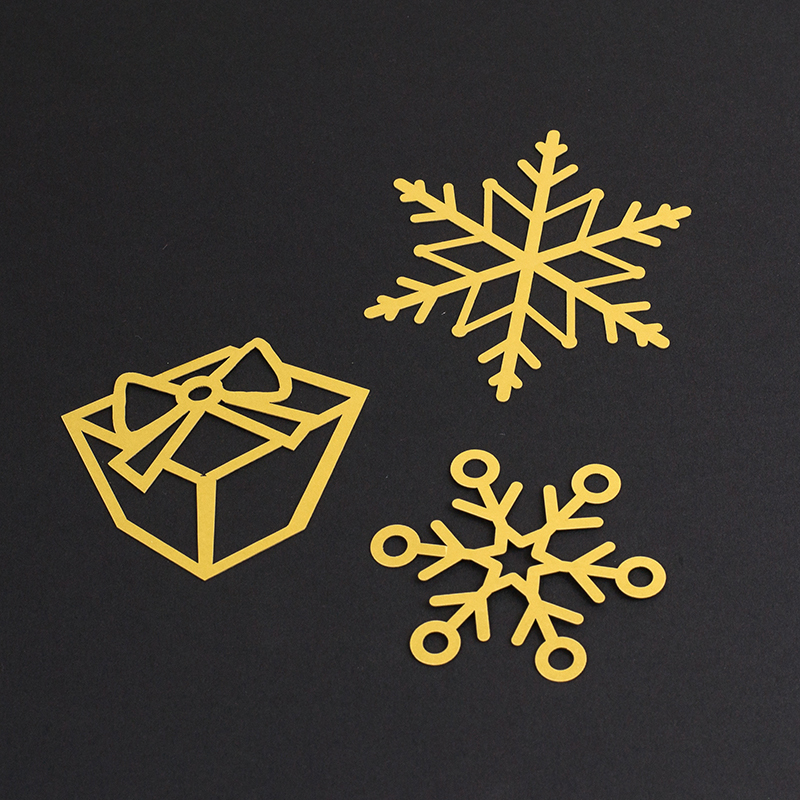 What Will You Laser Cut With Gold Cardstock Paper? 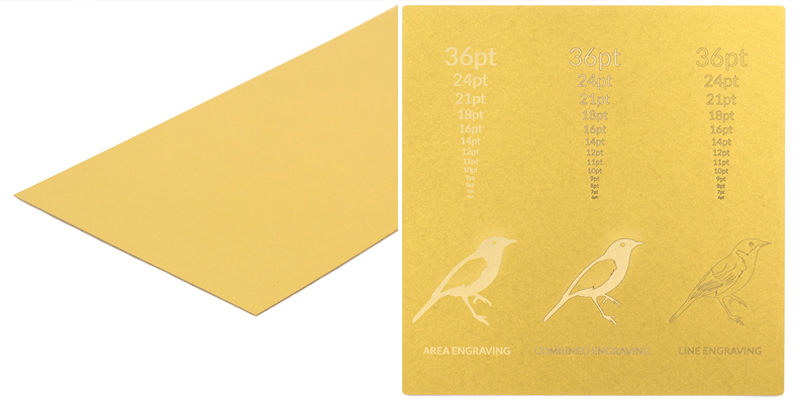 After seeing these ideas for gold cardstock paper, do you have a gleam in your eye? Don’t keep the secret to yourself. We’d love to see a sweet suite of wedding stationery, and you could really make an artful impression with these ideas. Architectural modeling would also be amazing, as would prototyping or package design. For those with corporate communication needs, foldable mascots and pop-up logoed cards make great promotional mailings. 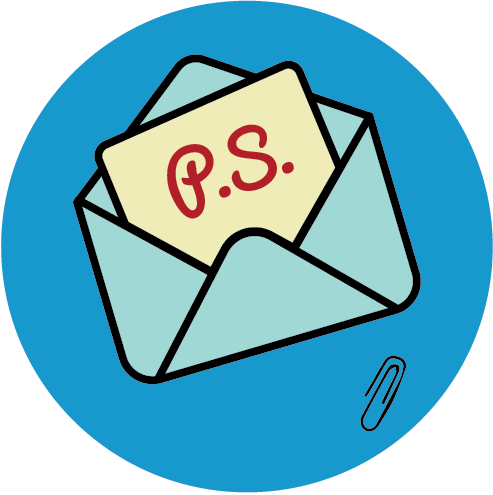 Since cardstock is lightweight, these kinds of mailings are inexpensive to make and they ship flat for additional savings. 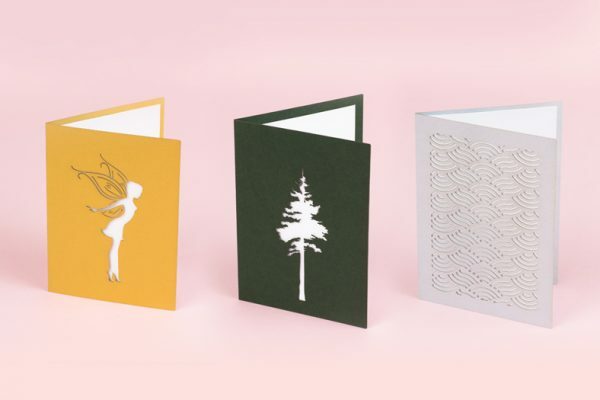 Plus, cardstock is more environmentally friendly than plastic, which is important when customers expect companies to make more sustainable choices. Whatever your ideas, share what you can’t wait to make in the comments below. We’d love to hear all about it!